I'm in the final weeks of marathon training which means I stay up late every night googling things about the marathon. How steep are the bridges? If I start on the lower level of the bridge, will I really get peed on by the people on the top layer? Is it possible for Sol to see me more than twice? Do I really have to walk a mile and a half after the finish line just to exit the post race area? Thanks to the internet, you can have all these answers and more for the low low price of a few hours of sleep. My parents are coming to watch the boys and Sol and I are escaping together ALONE to NYC. It's a toss up what I'm more excited about--a few days without kids or running a world class marathon. I really do want to ENJOY the marathon and am trying not to put too much pressure on myself, which is basically impossible. Here's what I currently think. I'm going to run fast because I've been training hard in very hot temperatures--I'll just be able to fly in the cooler weather. I'm going to die because of ALL THE BRIDGES and then lack of any elevation change in Beaumont. I'm going to run really fast because I love my new training schedule I'm following. I pretty much totally stopped doing Barre and lost some flexibility and strength... so my bones will probably all break as a result. The race is Sunday--I'll be starting at 9:40 and will finish... after that some time. You can go here to track me--there's a nifty mobile app or you can use the website. I'm number 17666. My goal for the race? I hesitate to even type it out since I famously try to BQ and barely miss it like its my job... but this year, I need to run 3:35 to qualify for Boston. The past two years, the runners have had to be about a minute and a half faster than their qualifying time to get in. So I would hope to run a 3:33. Based on how I've been training, I could be able to run a few minutes faster than that. I'd love it if I can keep all my miles under 8:00--but I'm not sure how my legs will handle the hills and how easy it will be to run quickly in the very dense crowds. I've PRed at all but two of my previous eight marathons--the two slow ones were the ones I ran months after having Finley and Braden. I'd love to PR and maybe BQ--but really, I just want to have fun. I'm so excited to get to be a part of it and no matter what my time is, I am pretty sure I'll be thrilled to have run those streets. 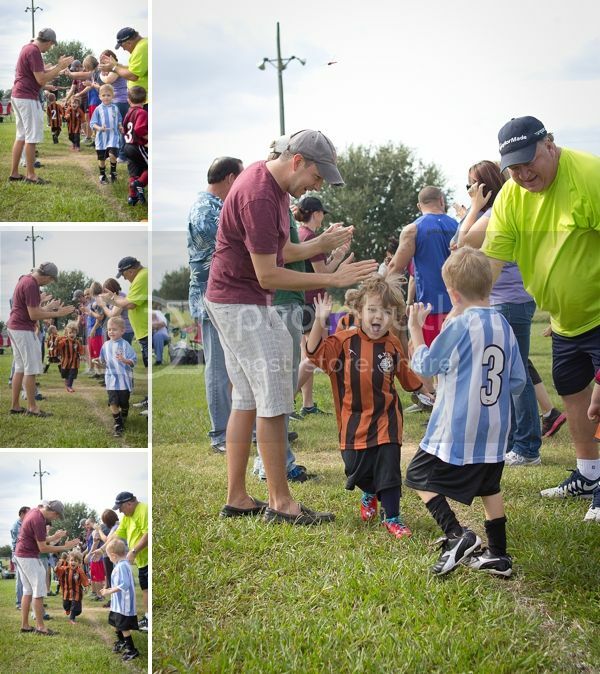 We put both the boys in soccer this year--and it way entertaining to say the least. The soccer complex is just a few minutes from our house which is crucial--I don't think we would have been able to make it if it were much further! The boys each have practice and a game every week--sometimes they are close in time and sometimes they are two separate outings. Braden wasn't too sure about soccer. About half the time he'd refuse to have anything to do with it and just wanted to sit in the car--and the other half of the time he'd kind of kick the ball around if we were holding his hand. And sometimes he'd kick by himself--but rarely. He loved two things about soccer: laying on the field and picking grass and running through the high five tunnel at the end. Maybe next year he'll be more into it... three year old soccer is pretty hilarious. 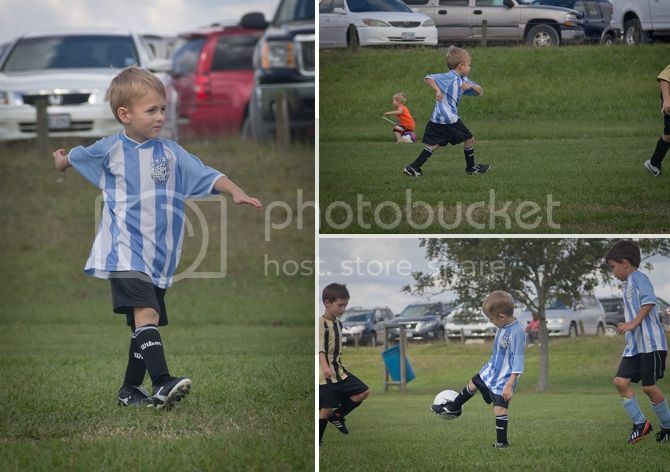 Finley really enjoys soccer! The first few weeks were pretty hot, but now that it's cooled down a bit he's excited about going to practice and playing. 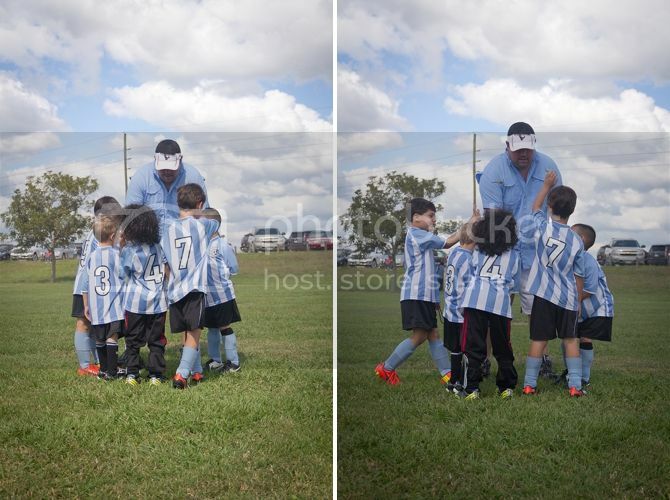 His coach is fantastic--Finley's about a head shorter than most of the kids so his coach makes a solid effort to make sure he finds a way for Finley to get the ball and participate. The pictures below are some of my favorites--he has a really goofy run that he does when he's "trying" to run fast and is sometimes just in his little five year old mind instead of focusing on the game. My marathon training has conflicted a bit with getting to see all their games--but Sol has been amazing and getting them all there and excited about playing! 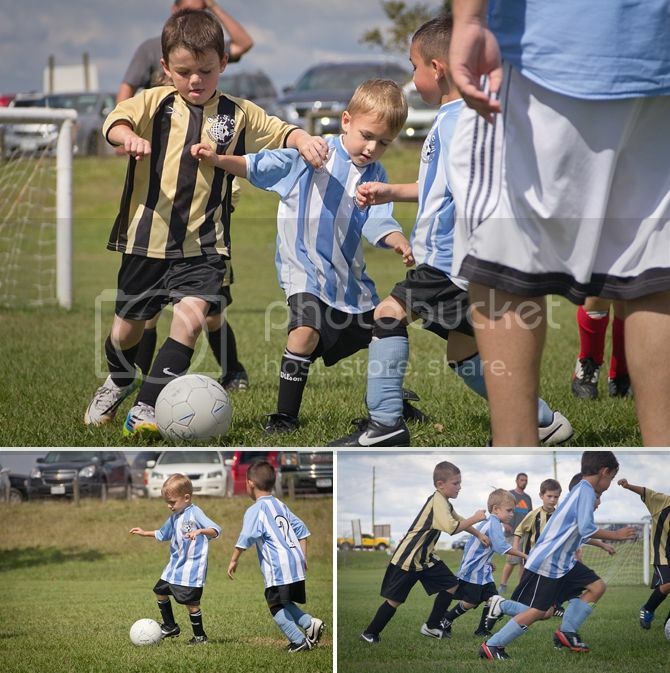 I was glad I got a few shots to remember how cute they are running around the field as little guys. 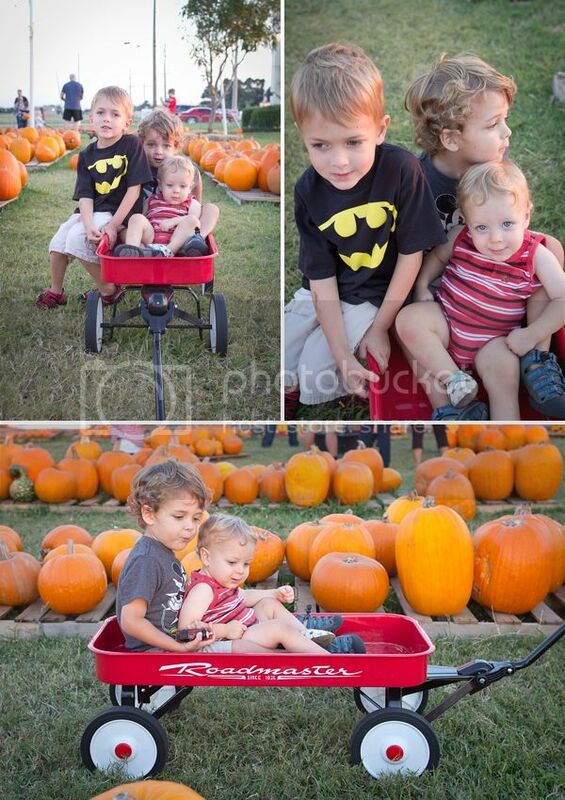 Well, no fall is complete without a trip to the pumpkin patch. 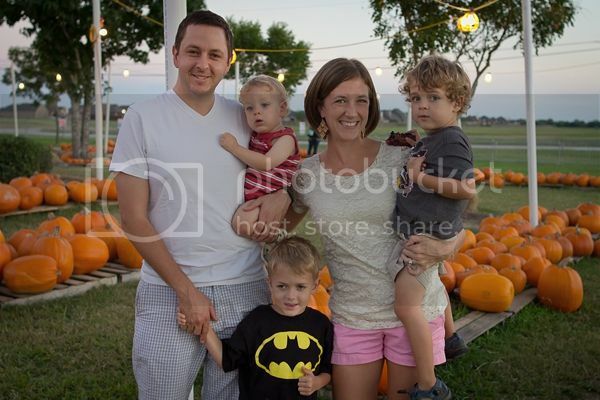 Even when that pumpkin patch is in front of a church and thoroughly underwhelming. For some context--here are the last five years of pumpkin-ing. 2013, 2012, also 2012, 2011, 2010 and 2009. 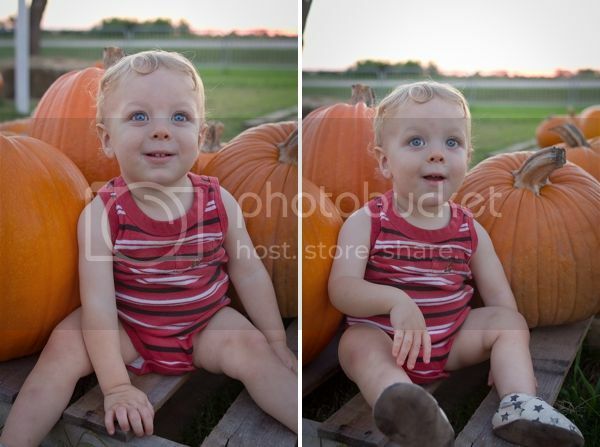 That first picture of Finley sums up how he feels about being made to take pumpkin pictures. He has his OWN PLANS and doesn't need me suggesting cute things to do. 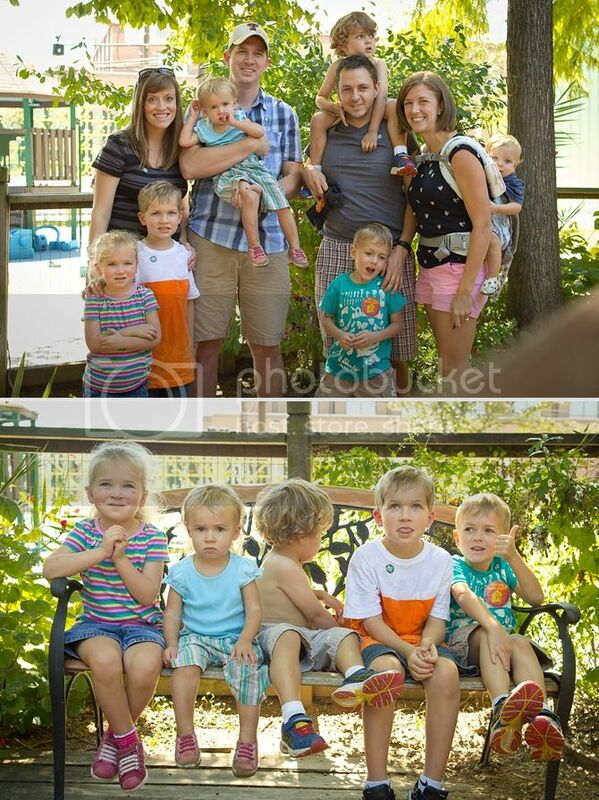 Surefire way to get him to smile? Telling ridiculous jokes. They don't even need to make sense. And that's about right with Braden--he's snuggling his train Arthur whom he loves and adores and takes everywhere. He thinks Arthur is the Polar Express and pretty much has loved him the most for... a year? Longer than a year? It's been a long time. 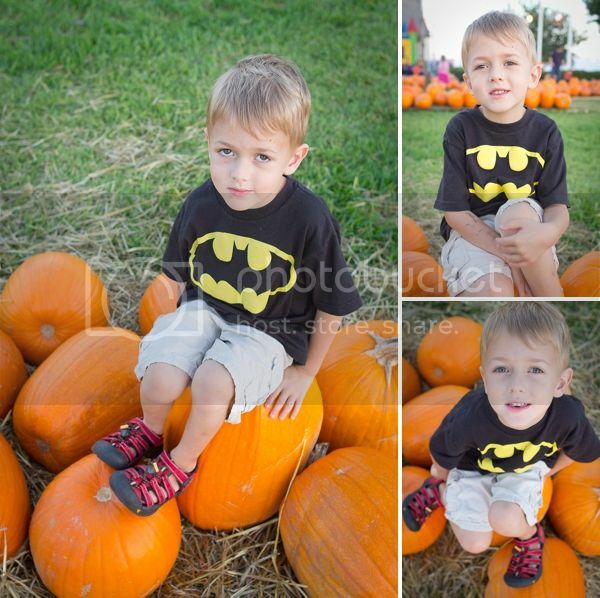 Keaton was mildly impressed with the pumpkins. Barely. 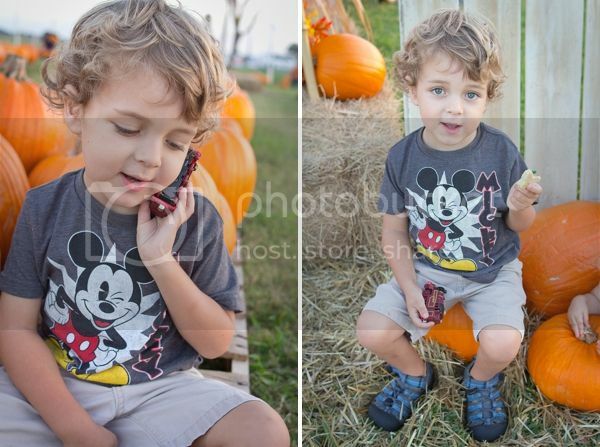 I also wasn't even willing to pretend it was fall and dress in fall clothes. I inwardly chuckle at the people who insist on wearing boots and jeans and jackets because it was in the 60s like once. It is still consistently in the 80s--if I'm going to live in the heat, I'm going to keep dressing for the weather I'm in, not the weather I want. Because I'm stubborn and ridiculous. And finally... decent family picture!! !